Offering you a complete choice of services which include printing services for brochure. We are the leading service provider of Printing Services for Brochure. We also offer private white label services for businesses with frequent printing needs. We are highly acclaimed in the industry for our quality Brochure Printing services. Our Brochures are printed on premium quality paper. 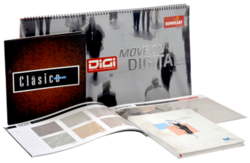 These brochures are developed in different printing styles with the organization's name, its logo, promotional texts, pictures and graphics. Looking for Printing Services for Brochure ?